It is nearly Valentine’s Day and we all think about love this time of year, for our families . 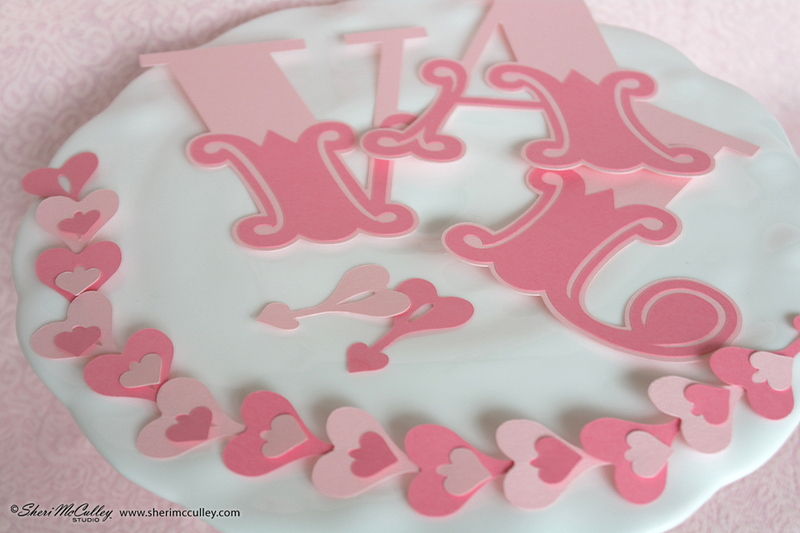 . . and our sweethearts. This is my picture of love ~ my sweetheart, my husband, my best friend. We are fortunate enough to be celebrating our 25th wedding anniversary this summer and in many ways it is hard to believe it has come so quickly. The framed photos are from our wedding weekend. Laugh if you like about the styles of the eighties, but smile with me as I share a glimpse of the man in my life I was lucky enough to start spending my future with. We are only 25 years into this, and I expect a golden anniversary to come as quickly as the silver anniversary has happily arrived. I thought you might like to share your own special photos and mementos with your loved ones this week, or any time you want to let them know you how much they mean to you. 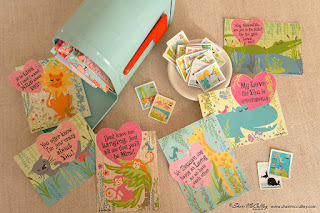 I have a few project ideas and tips that I want to share from the Lockets of Love collection on LD. For this “picture of love” set of framed pictures and mimi photo and mementos folios I have used many of the sets of files from my LD Lockets of Love collection. They are: Lockets of Love ~ Photo Cases, Borders, Frames, Charms, Keys, Labels, Messages, Alphabet and Flowers. I have also used a few flowers and leaves from the LD Cut Flowers collection. 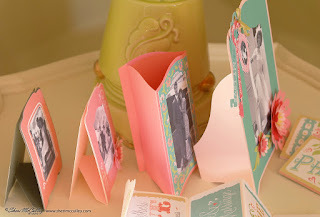 The messages, labels and alphabet were used with the mimi folios (named Photo Cases) as well as the corners from the Borders set. 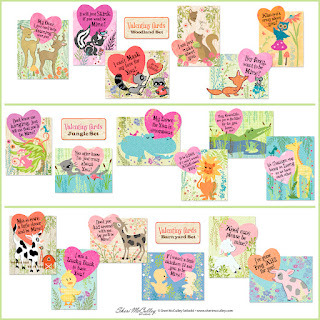 These were all graphic sets, other than the corners (Borders) from the graphic set, but you could use the graphic set for borders as an option. 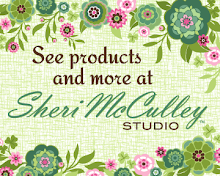 See the close up photo below and photo at top. These little folio cases will make a statement of love any time of year and make wonderful, personal and meaningful gifts. 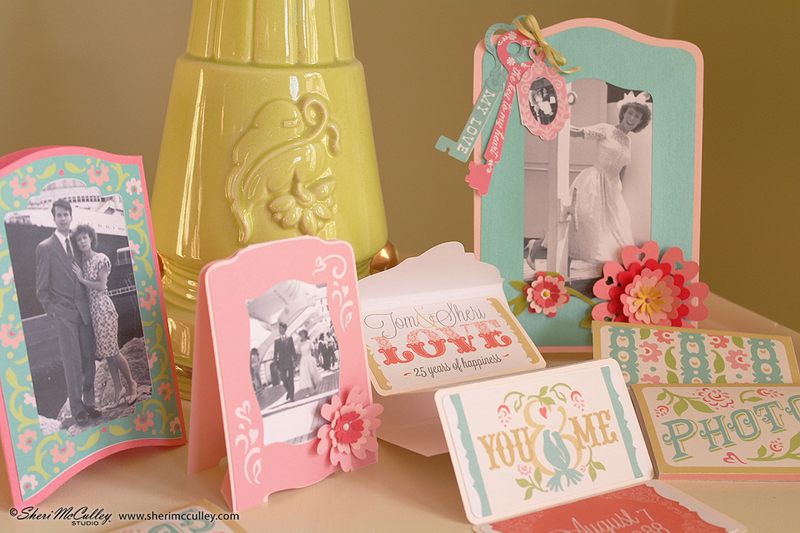 For the framed black and white photos I used many of the Lockets of Love Frames, mixing both the graphic and cut-it sets. 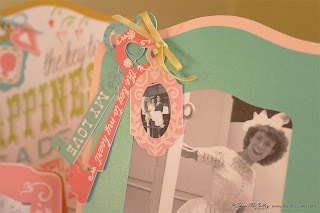 I like being able to choose my solid cardstock background frame and then add some of the graphic choices to print out, cut and mat over the photos. These frame bases are easy to work with and stand up quite well on their own if the cardstock is heavy enough. I have a photo below to show you what the frames look like from the side and back, so you can see how they are put together. 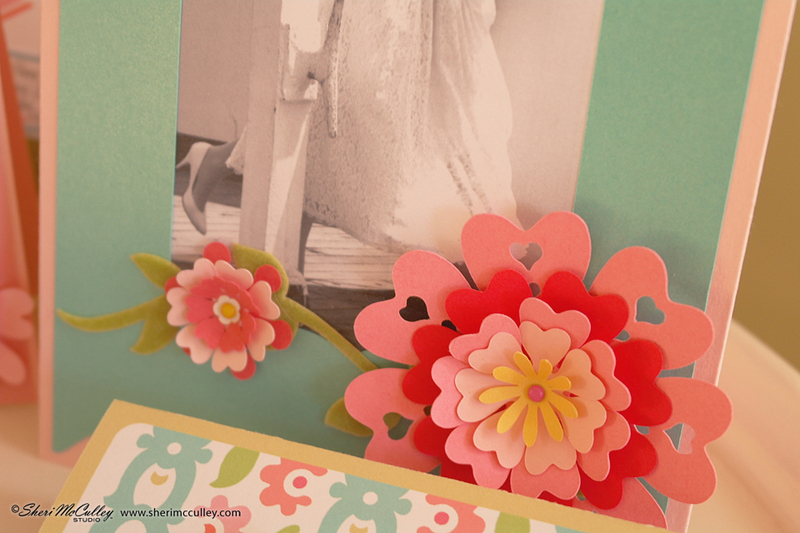 I embellished the photo frames with keys and charms from the graphic sets (see close up photo above) and flowers from the cut-it set. 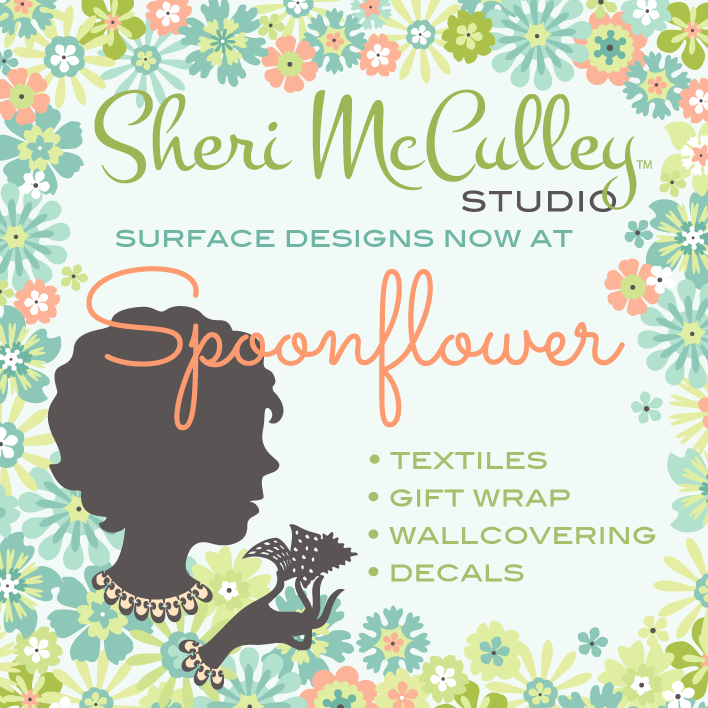 I also used a few flowers and leaves from my Cut Flowers collection on Lettering Delights (see photo below of flower details). 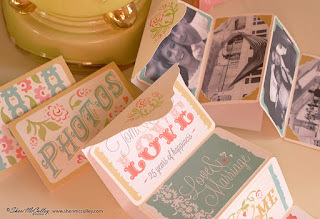 If you want to share what is in your heart this Valentine’s day, you will surly find these frames and folios just the thing to make you and your sweetheart the picture of love. Go here, if you get the picture :). Happy Valentine’s Day from one who has spent 25 wonderful years with her valentine! 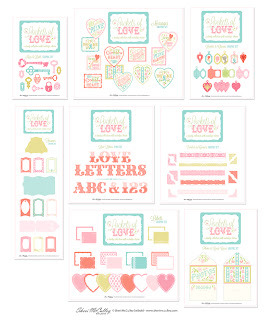 I’m excited to share this new collection with you from Lettering Delights. 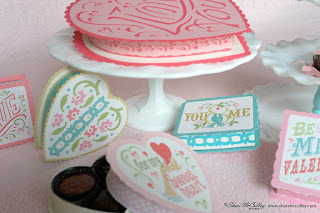 It is a valentine collection that can be used in many other ways throughout the year, even for sweet sixteen birthdays and weddings, but this next week in particular for your sweethearts. It is called Lockets of Love and it is full of dainty, delicate, doilicious art to make lovely creations with. 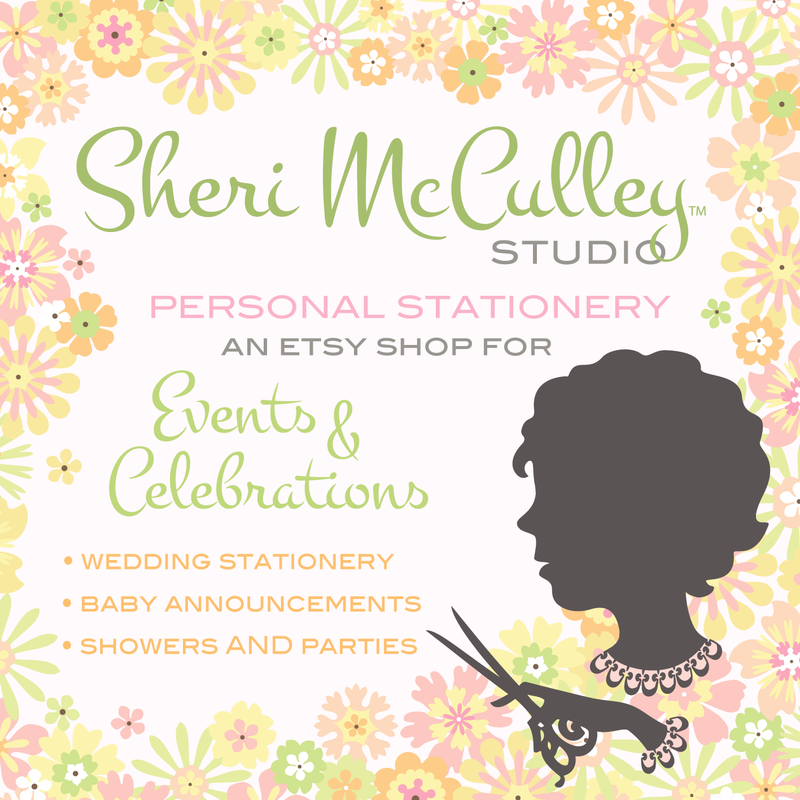 I will be sharing ideas, projects and tips all next week, so come back often to see the latest sweet creation. 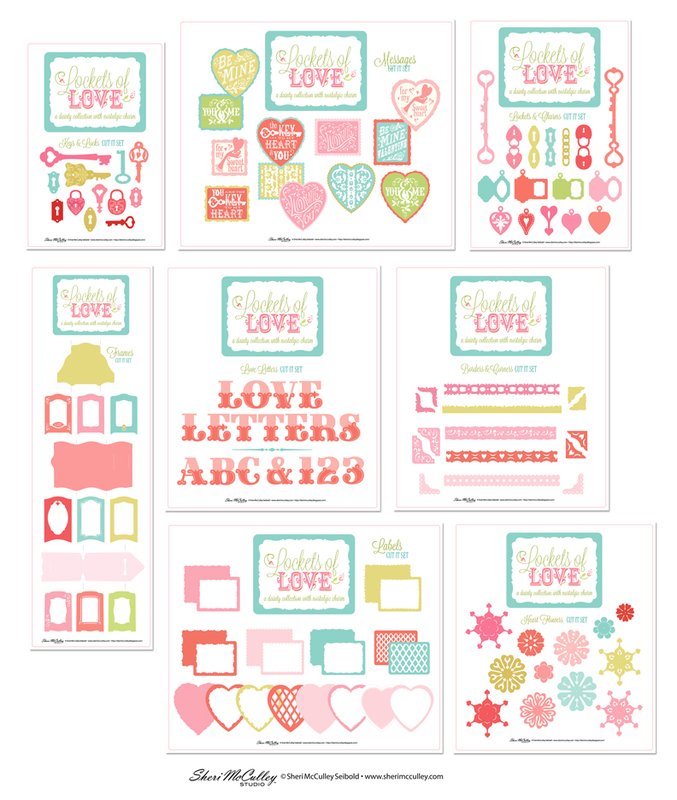 This collection includes sets for both cut-it files and graphics files. At the bottom of the posting are the two complete sets to see and choose from, then head on over to LD and find your faves. There are love letters (alphabets as a font and as two layer cut-it files), locks and keys and lockets and chains, lots of hearts and flowers, even photo frames and mini photo-folios (see above) and there are borders and corners and tags. 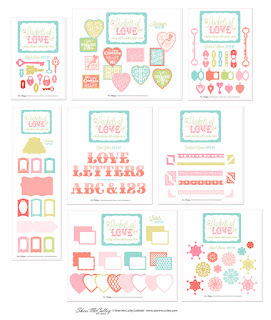 There is also a set for both cut-its and graphics that are sentiments, we are calling Messages. These can be used to cover little chocolate heart-shaped boxes (easy to find this time of year), or use them for a variety of ideas as gifts for your sweetheart. 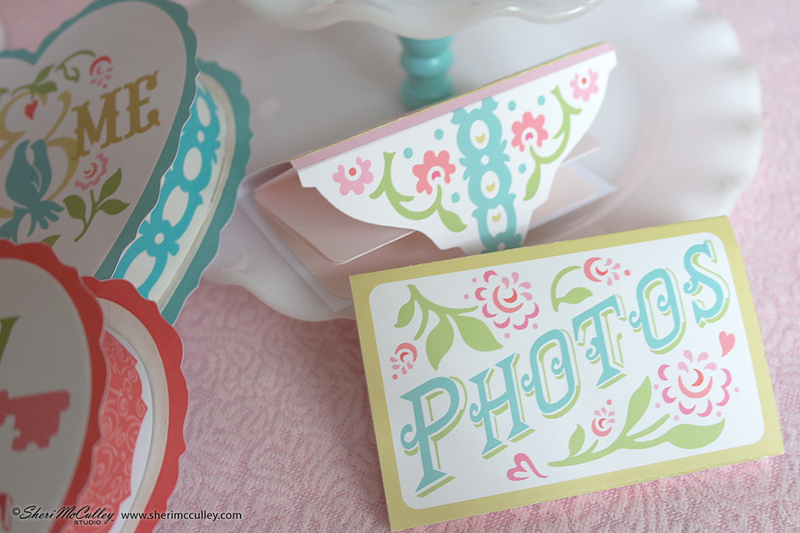 Find the complete collection on Lettering Delights by going here. 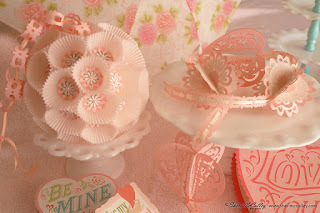 Please come back right up until Valentine’s Day to see the projects I have been creating from my heart to yours. 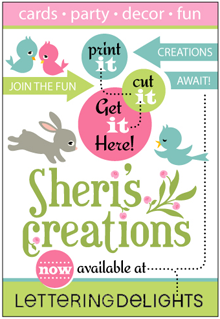 Start creating now so you have enough valentime :) for the ones you love! One of my fondest memories of grade school was the Valentine's Day Party each year. 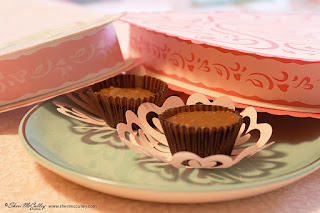 Surely the reason I loved it so was due to the fact that we could create our own valentine box to stuff the tiny treasures inside. The valentines always had a sweet but corny sentiment. As silly as they were, they were always worth saving. 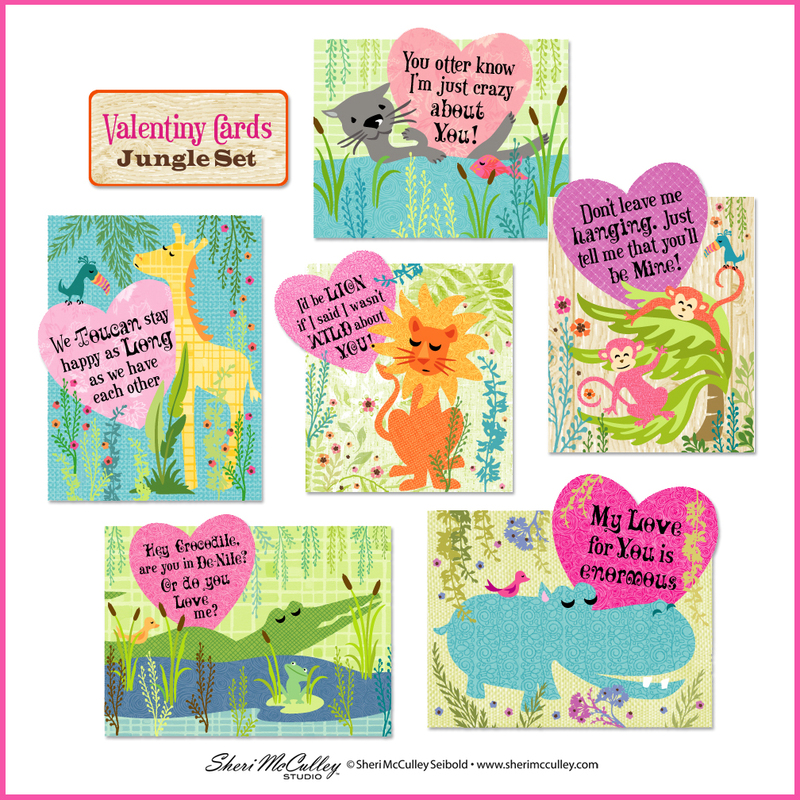 I have been working on a collection, the Valentiny Animal Cards with the same punny sayings and style that will bring back a fond memory for some and a fun new style for others. I have grouped this collection into three animal themes. 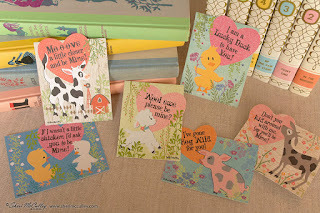 These groups of six cards each are the woodland set, the jungle set and the barnyard set. 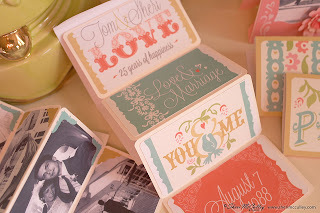 You can see each complete set below. 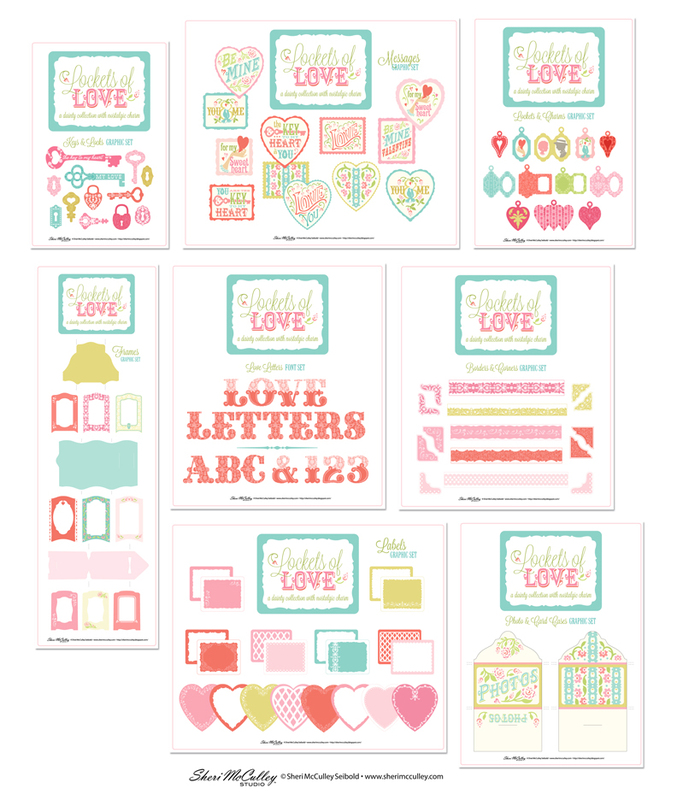 Now this punny valentine collection is available on Lettering Delight, just in time to share with your friends from the past, and for your little ones to share with the new kids on the block or in the classroom. 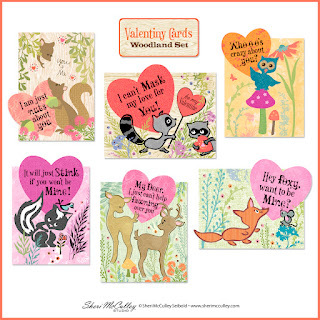 They are easy to print and trim, and can fit nicely in the mini envelopes that come with traditional grade school valentine boxed sets from the five and dime (or in keeping with the times, the brick and mortar around the corner). This is the complete Valentiny Woodland set. This is the complete Valentiny Jungle set. 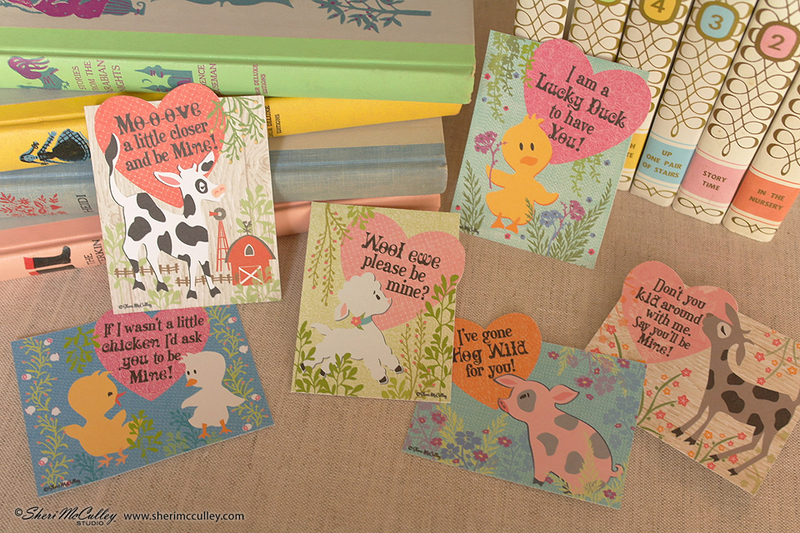 This is the complete Valentiny Barnyard set. 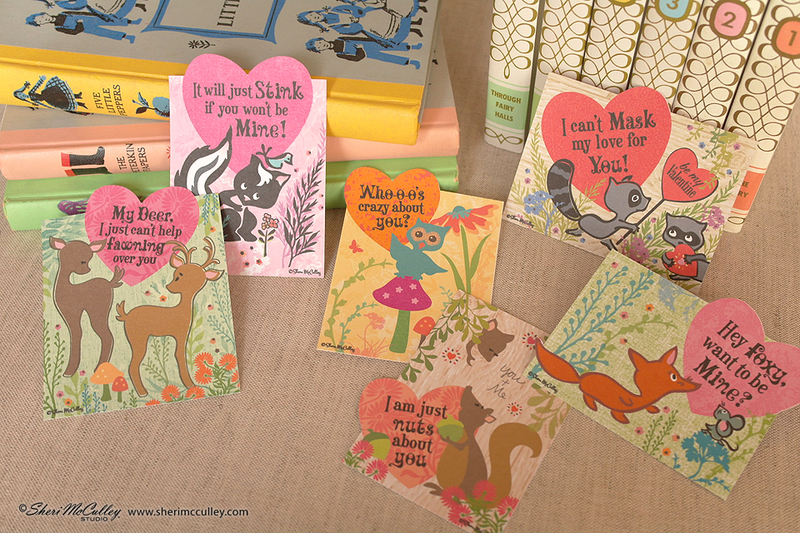 To get your punny valentines go to Lettering Delights here, so you can get, print and send to your funny valentine when the day arrives.